For the year end Average Sales, we have once again seen a slight increase in average sale prices in Woodstock. 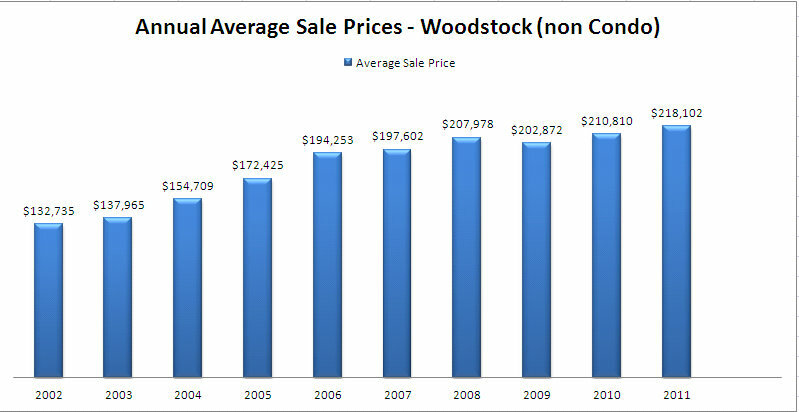 Woodstock Residential sales averaged $218,102 in 2011, up 3% from 2010. 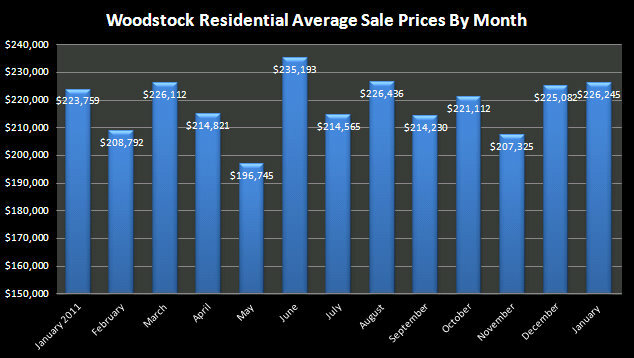 It looks like the Average Sale Price for a Residential property in Woodstock in January 2012 was $226,245 which is up from $225,082 in December of 2011, up 1% over January of 2011. 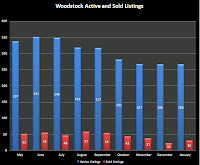 This chart shows current Residential Listings, compared to Residential Homes Sold in Woodstock. 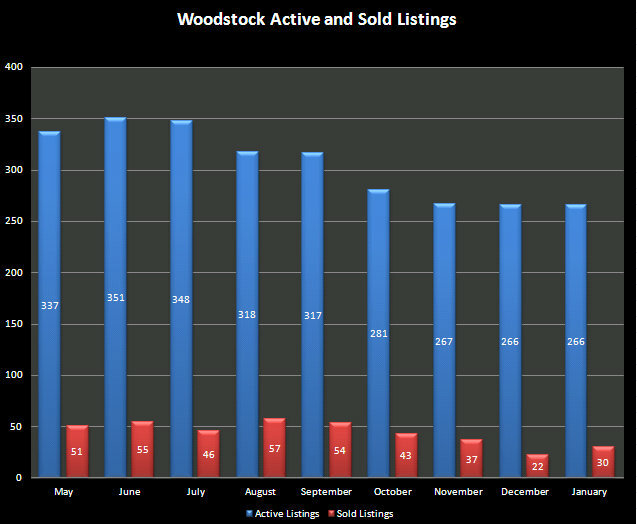 As of Feb 1, 2012, Woodstock showed 266 Active homes for sale, and 30 sold within the month of January.